Arrive at Aurangabad Airport/Railway Station and transfer to Hotel. Check in and enjoy a Welcome Drink. Dinner and overnight. Breakfast. 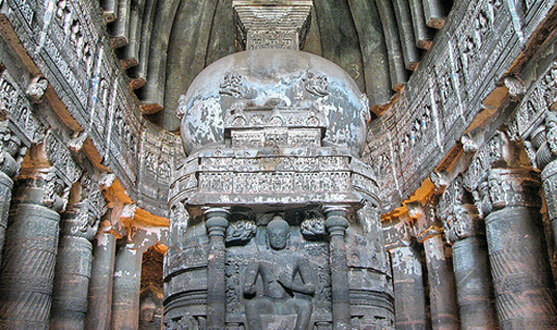 Enjoy a tour to the world famous Ajanta Caves, a World Heritage site. 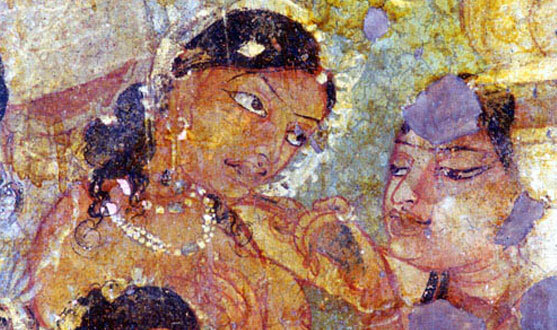 The village of Ajanta is in the Sahyadri hills, about 99 km. from Aurangabad. A few miles away in a mammoth horseshoe-formed rock, are 30 caves overlooking a gorge, each forming a room in the hill and some with inner rooms. These rock cut caves date from 100 B.C. and illustrate the degree of skill and artistry that Indian craftsmen had achieved several hundred years ago. These caves created over a span of some 600 years were discovered early in the 19th century quite by chance by a party of British Officers on maneuvers. The paintings and sculptures on Buddha’s life, belong to the more mellow and ritualistic Mahayana Buddhism period. Return to your hotel in the evening. Dinner and overnight. 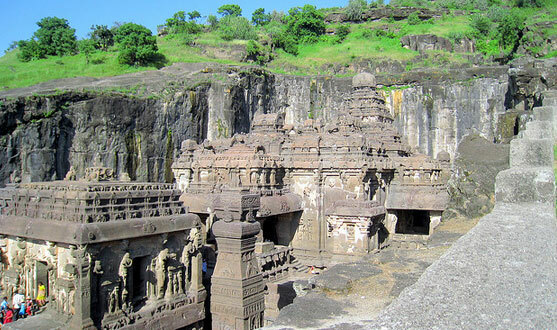 After breakfast, check out and visit the famous Ellora Caves, a World Heritage site. The cave temples and monasteries at Ellora, excavated out of the vertical face of an escarpment, are 26 km north of Aurangabad. They span a period of about 600 years between the 5th and 11th century AD. The 34 caves contain Buddhist Chaityas or halls of worship, and Viharas, or monasteries, Hindu and Jain temples. The most imposing is the magnificent Kailasa Temple (Cave 16) which is the largest monolithic structure in the world. Interestingly, Ellora, unlike the site of Ajanta, was never 'rediscovered'. It has continuously attracted pilgrims through the centuries to the present day. Visit Daulatabad Fort and Bibi ka Maqbara built by the sixth Mughal Emperor Aurangzeb in the late 17th century in memory of his wife Rabia-ud-Daurani. It bears a striking resemblance to the famous Taj Mahal, the mausoleum of his mother, Mumtaz Mahal. Transfer to the Airport / Railway Station. 2 nights / 3 days stay. Accommodation in a base category room on twin sharing basis at hotels mentioned above or similar. Breakfast on days 2 & 3. Dinner on days 1 & 2. Airport / Railway Station arrival and departure transfers in an Indigo / similar. 2 days' sightseeing as per itinerary. The vehicle is for point to point travel and not at guest disposal. Air fare / train fare, toll charges, parking charges. Entry fee to any monuments during sightseeing. Any other item not specified in "Price includes".